Finally! 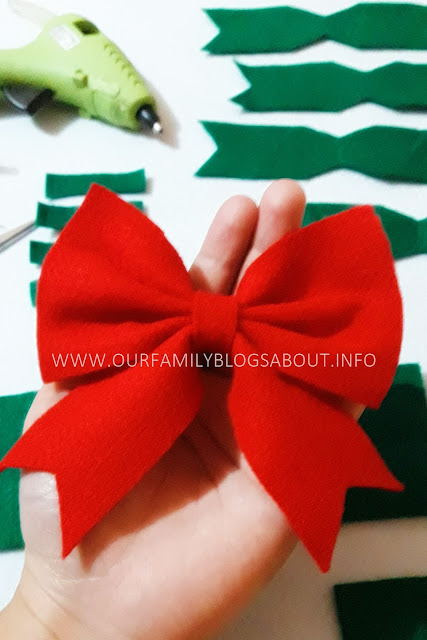 I was able to post this DIY tutorial before Christmas, haha. 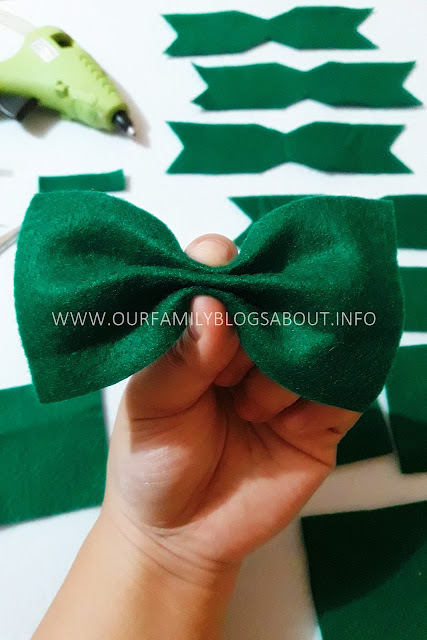 By the way, I got the inspiration to make my own felt cloth bow tutorial from damasklove.com. So let's go on with the tutorial, shall we? First, here are what you need. For easier measuring, here's a tip. 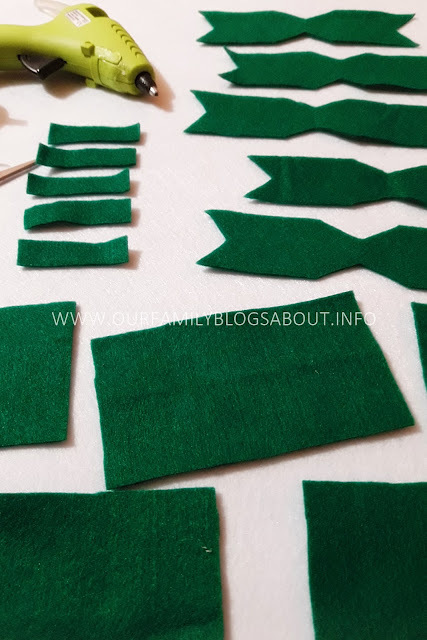 Print first the 3 rectangular sizes into a board paper, cut and then trace it on the felt cloth. 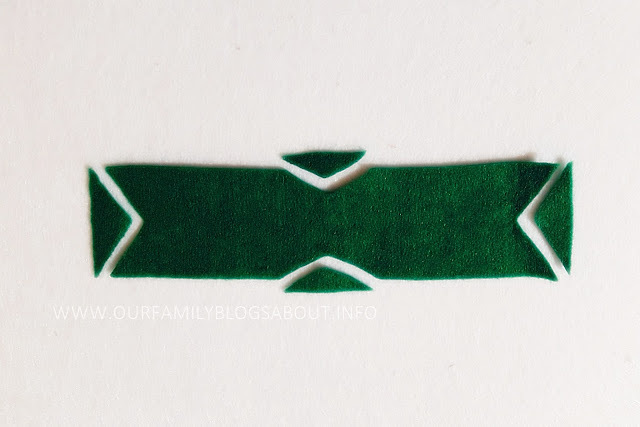 Then cut the 1.5 x 6" rectangle like this. 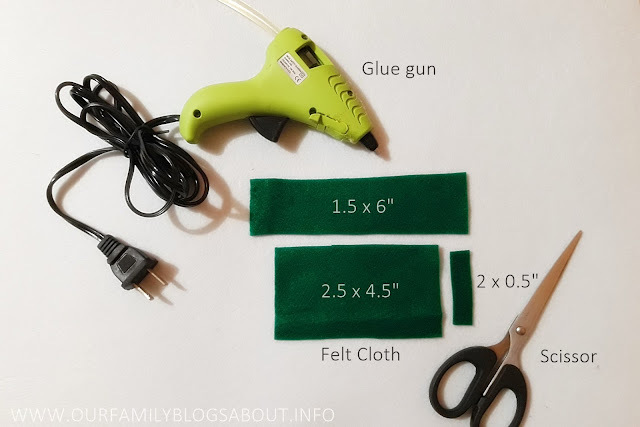 I suggest you do the measuring and cutting first. Then you are ready to assemble! 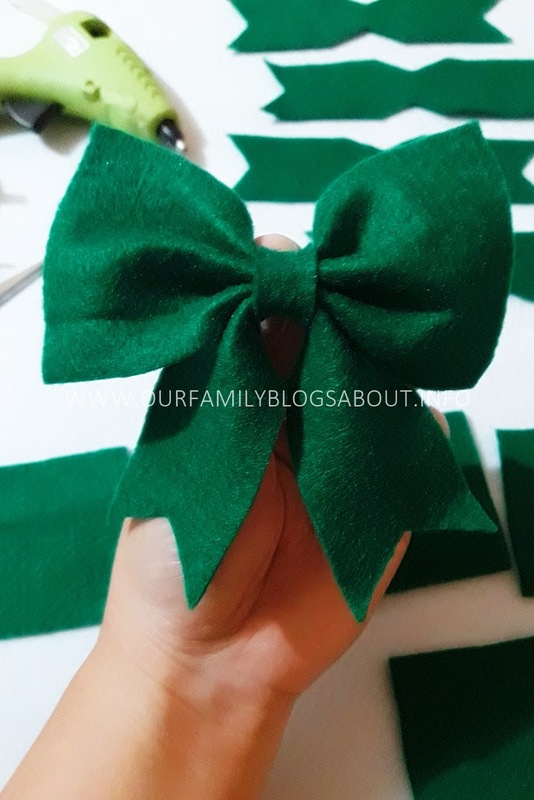 Now, fold the 2.5 x 4.5: rectangle like this. Then attach the 1.5 x 6" rectangle like this. And then wrap the two together with the smallest rectangle. 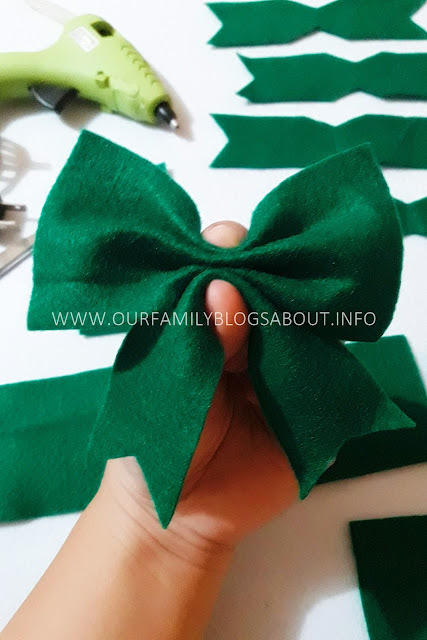 You are done with your DIY felt cloth bow! That easy right? 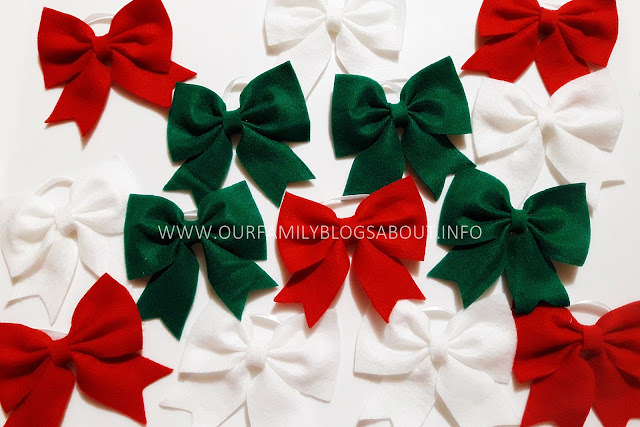 Now since I will hang these felt cloth bows to our Christmas Tree, I attached strings to it. 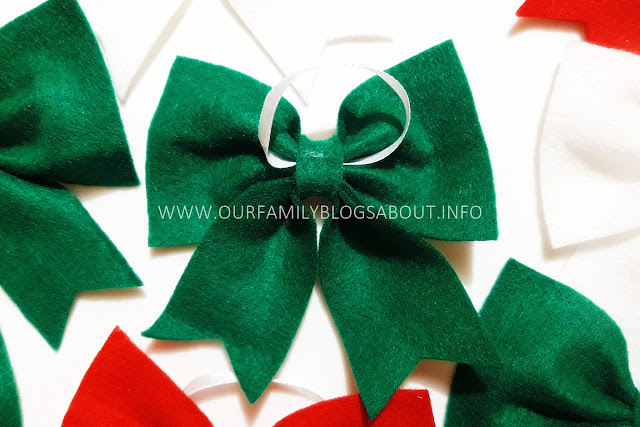 I made felt cloth bows in Christmas colors! 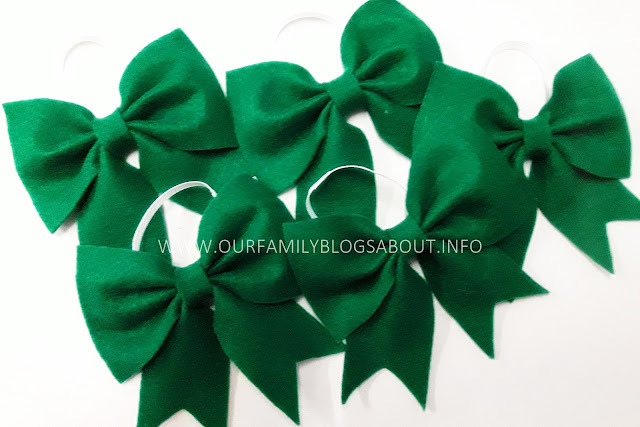 The green felt cloth bows. 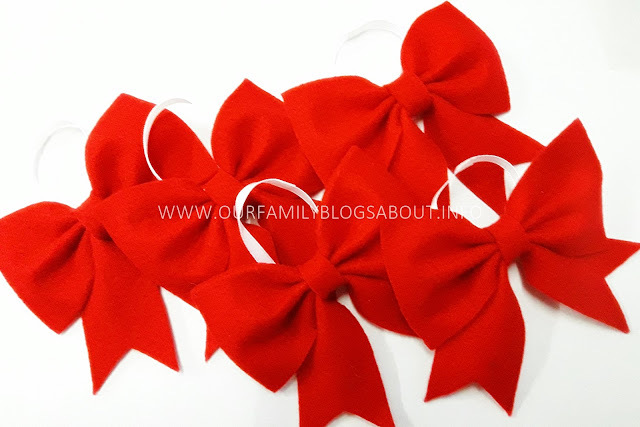 The lovely red felt cloth bows. 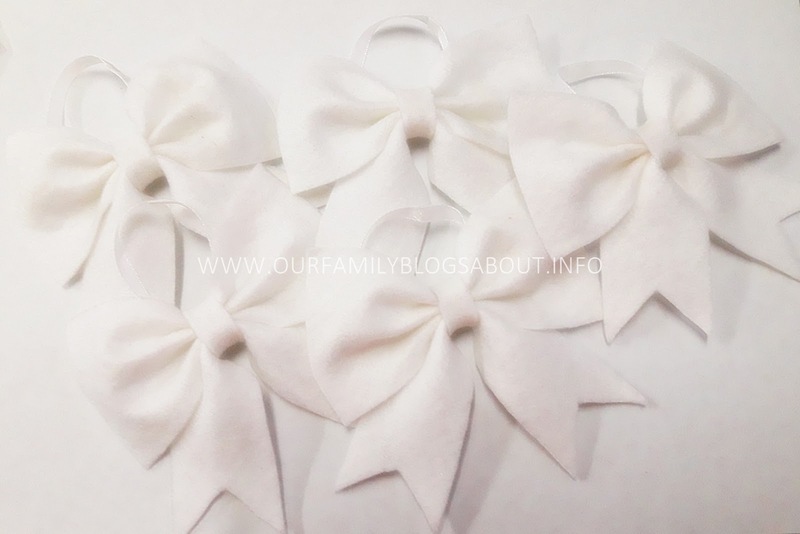 And the white felt cloth bows. But wait till you see them on my Christmas tree!. 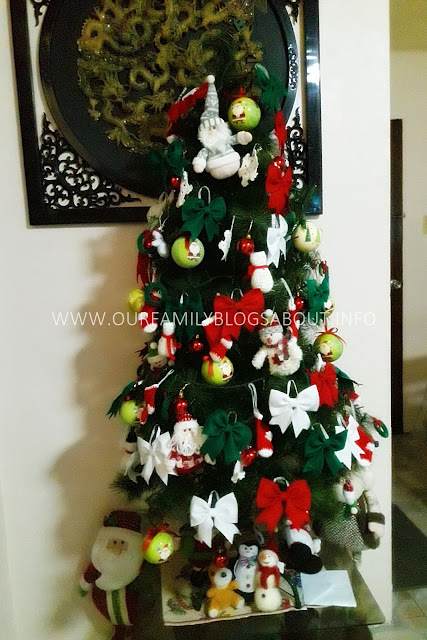 It's very addicting to make your own Christmas. 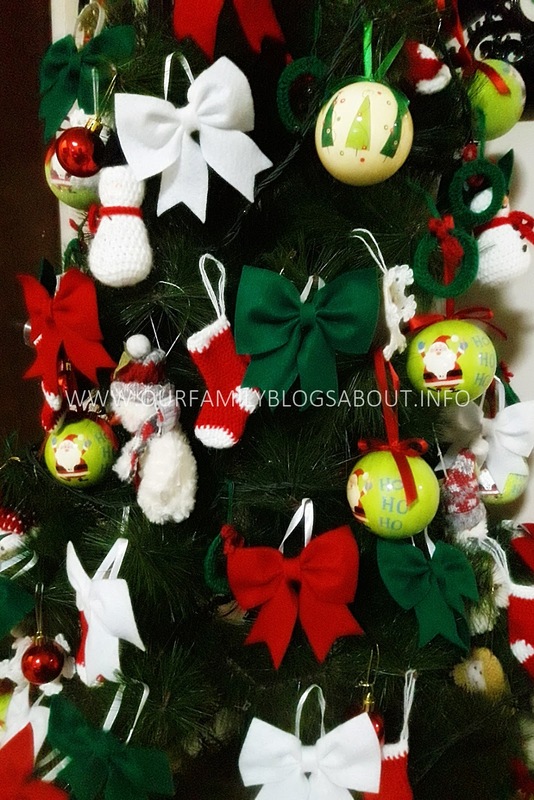 Read: CROCHET SNOWFLAKES ORNAMENTS, SNOWMAN AMIGURUMI and DECORS AND ORNAMENTS: CHRISTMAS STOCKINGS.